Astronomik filters deliver the ultimate in image contrast and are extremely durable. 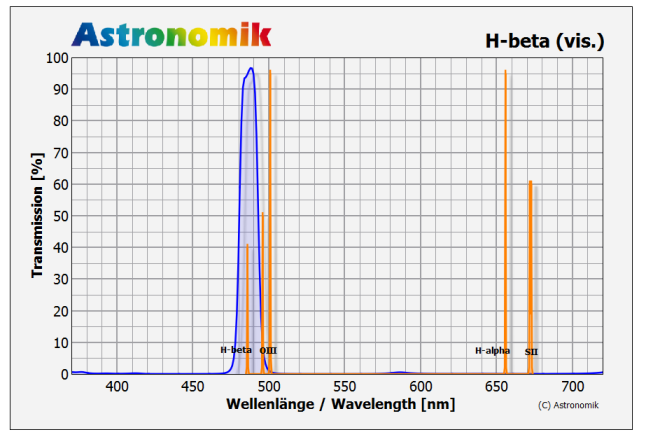 Our Quality Statement is quite simple: we make the best filters for astronomy! Overview: Which filter for which application? Our selection of filters is so extensive that we have the correct filter for almost every instrument and every observing situation. 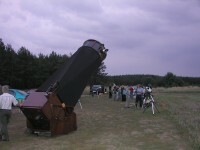 Whether you are using a small instrument or a huge Dobsonian, whether under the lightpolluted skies of a sprawling metropolitan area, or are viewing from atop high mountains, Astronomik has the filter that will provide you the best possible visual image. Period. 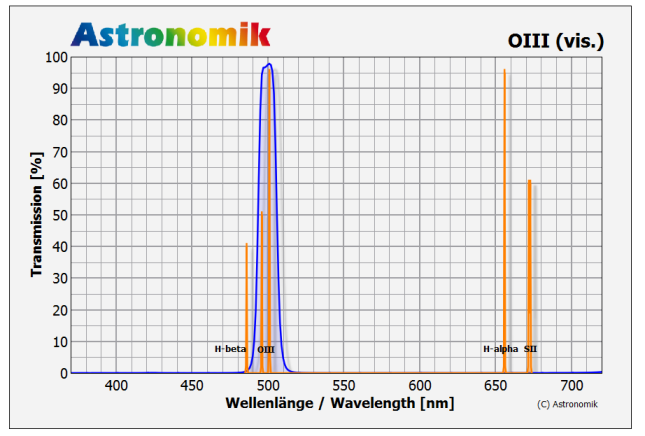 Superior Substrate: Astronomik filters consist of a precision polished substrate on which the actual filter, in the form of very thin (dichroic) interference layers, is applied. 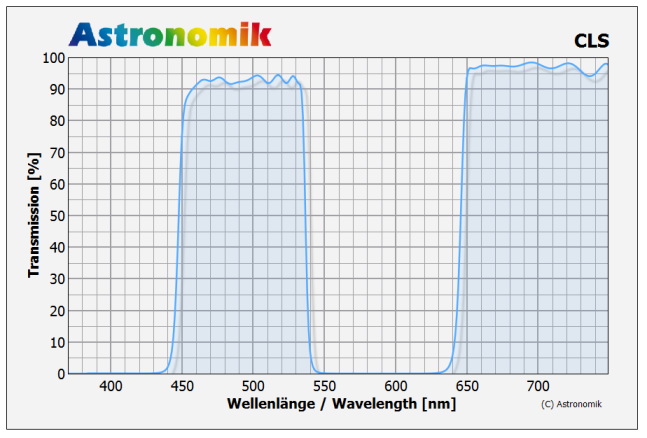 Because of these high quality measures Astronomik filters will in no way reduce the performance of your optical system. 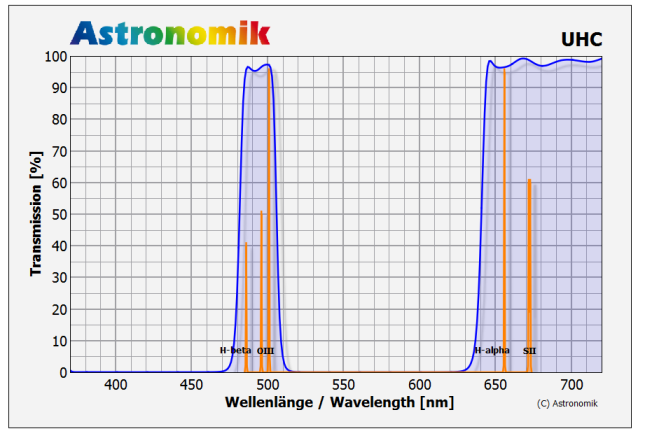 And contrary to common experience with other manufacturers´ filters, with Astronomik filters stars remain fine needle points of light! Coating: Astronomik filters consist of up to 130 layers deposited on top of the completely transparent carrier glass. These layers work as the actual filter and as an antireflective coating. Durability: Astronomik filters are completely scratch resistant, and not sensitive to moisture, dew, or high humidity. With others’ filters, after a few years, you start to notice their filter is no longer up to its full capability. 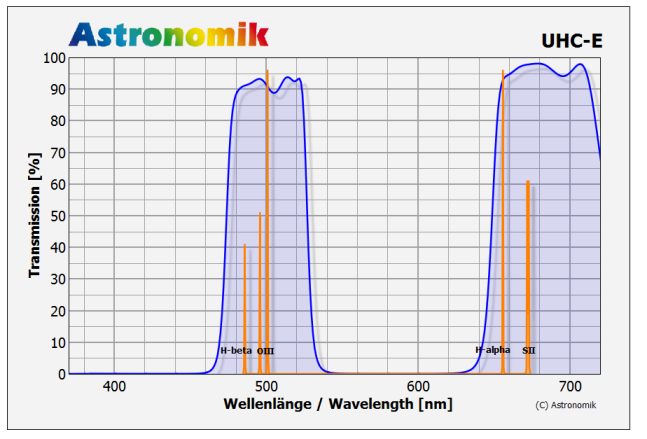 Not so with Astronomik filters which maintain their ‘brand new’ transmission specifications year after year. And, because of Astronomik’s extraordinarily resistant coating technology, our filters come with a 10year warranty. Astronomik filters are highquality accessories for visual observing which will significantly expand your observing opportunities. After many years of use your Astronomik filters will be an accessory which will be ready to give you the same joy you experienced many years earlier when they were new. Now that’s an investment worth making! If you touch the symbols with the cursor, more information will be displayed. ++ The filter is excellent for this application, the dramatic better image! + The filter is good for this application, the much better image! o The filter is suitable for this application, the slightly better image! - The filter is usable for this application. -- The filter is not suitable for this application.